Congratulations to the Belfair “Taste of the Hood Canal” who is now a Seattle Seafair Community Event. The North Mason Rotary who sponsors this Hood Canal summer celebration to support the community was notified today this free annual event held on August 11 is now part of Seafair. For those outside the Puget Sound, Seafair is Seattle’s traditional summer festival. A month-long, region-wide barbecue, that brings an entire community together in celebration. For over 60 years Seafair has been about community events, parades, Miss Seafair, the Navy and Coast Guard, amateur athletics, airplanes and of course, hydroplane boat racing. The Hood Canal “Taste” features a larger and expanded custom and classic car show as well as beer and wine tasting by Riverhill Winery. On Saturday, August 11, come and experience specialties from local restaurants, family entertainment & live music throughout the day, food including seafood and a variety of wonderful treats, informational displays, art and craft booths, fire engines, local artists and lots of fun for all! There is a reason why Seattle chose to include the Hood Canal “Taste of the Canal” as Mason Counties only contribution to Seafair. Bring the family to Hood Canal this August 11 so you don’t miss this free fun. 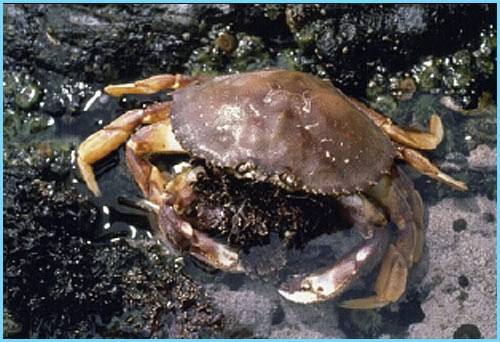 According to Rich Childers of the Washington Department of Fish and Wildlife, 2011 appears to be a record year for the amount of crabs harvested by recreational crabbers in Puget Sound. An estimated 2.1 million pounds of crabs were taken in the summer season from July 1 to Labor Day, with additional harvest coming during the fall and winter. Crab season will close in all areas on Dec. 31, and anyone with a winter catch record card must report their catch by Feb. 1 — even if no crab were caught. Olympic National Forest to grow? SHELTON — U.S. Rep. Norm Dicks, D-Belfair, and U.S. Sen. Patty Murray, D-Wash., are floating a proposal to add roughly 130,000 acres to wilderness areas to the Olympic National Forest. Their staffs were in Shelton Friday for public feedback before drafting a bill to accomplish that goal. How do you feel about adding 130,000 acres to the Olympic National Forest? 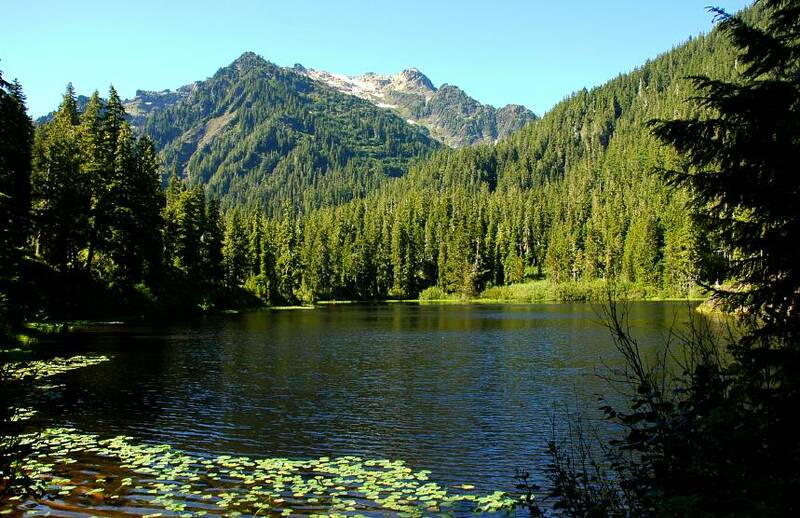 The plan would take existing federal forest land surrounding the Olympic National Park and tighten the managerial restrictions however much of these forest would be left in its current condition. Logging would be eliminated and hiking would remain. These forests have numerous U.S. Forest Service roads already earmarked for closure, which would still take place. Some forest service roads would remain intact — the only ones that would allow mountain bikes and motorized vehicles. However, hikers might have longer walks into the wilderness from where they can park vehicles. As part of the 130,000 acres are five segments of land totaling about 20,000 acres targeted to become “preserves.” In these areas, if the private owners were to sell to the federal government, the government would manage the land in a manner less restrictive than as an official wilderness. About 400 Olympic Peninsula residents from various groups made the original proposal. So far, the original proposal has been trimmed after some initial feedback by the tribes and other agencies and groups, said Kristine Reeves, Kitsap and Olympic Peninsula director on Murray’s staff. 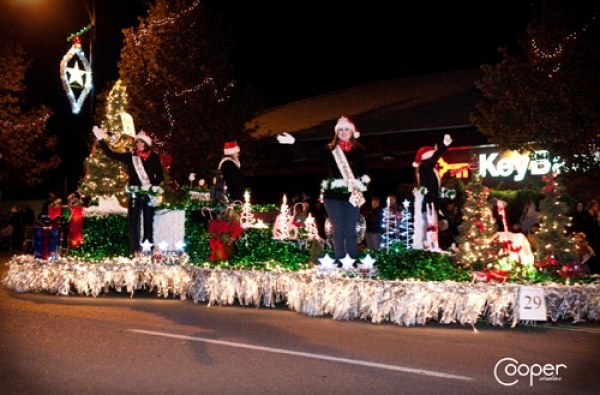 Tonight, bring your Christmas spirit and the whole family to Shelton’s annual “Christmas Town” Parade happening Saturday, December 3 at 5pm in downtown Shelton. This time-honored tradition promises live music, marching bands and dance routines, festively-decorated cars, prancing horses, shiny fire trucks and many more entries created by local schools, businesses and organizations. Ridge Motorsport Park – THE ROAD IS IN! For those motorheads who are following the building of Ridge Motorsport Park, the road is in. The world newest purpose-built road race course is now in asphalt. Take a ride on this YouTube video. I have a question to those sport car fans – you know who you are. The question: What kind of a car was used to take this video? 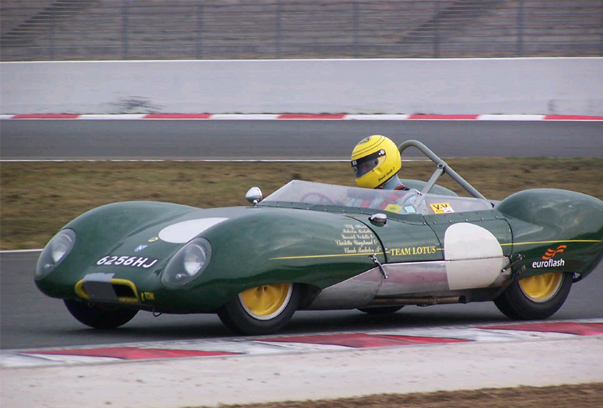 My guess: an Austin Healey Sprite or maybe a TR-6. For those old enough to remember, this is history repeating itself. Fifty years ago, before there was a Pacific Raceway or a Portland International Raceway, Shelton Washington was the northwest center for auto racing. 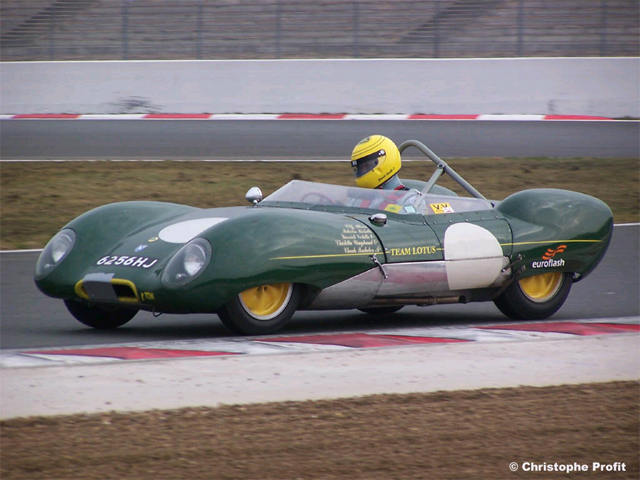 Famous drivers, such as Lotus team member and F1 driver Pete Lovely, drove race cars like Lotus 11s and Ferraris between the hay bales at the Shelton Airport for little more than the sport of racing. Recently, a group of autosport enthusiasts have been trying to return this tradition to Mason County with the creation of The Ridge Motorsports Park. It’s been a long and winding road but the Shelton City Council approved a “special use permit” to operate a race park. Located on the back side of the Shelton Airport, the park will include a 2.5 mile road course and 4-lane quarter mile drag strip. The road course is now a road. About halfway through the course, there is even a corner reminiscent of the Cork Screw at Laguna Seca – should be thrilling to drive. Now comes the task of building the world-class facilities to make it truly a destination race track for sports car, motorcycle and drag racers to enjoy. You can view how the course was built at their website at www.ridgemotorsportspark.com. The South Sounder would like to thank everyone for their supportive comments and enthusiasm for this project and facility. Although there is a huge amount of work yet to do to get this project done in time for 2012 events, we are thrilled to welcome The Ridge to Shelton. Shelton’s brand-new Salish Cliffs Golf Club at Little Creek Casino Resort is the nation’s top course to open in 2011, and No. 8 overall, according to “Golfweek’s Best 2011: Best New Courses” ranking, released today. Salish Cliffs, a Gene Bates design that opened to the public on Sept. 16, was chosen by Golfweek’s nationwide team of course raters. The elite ranking is reserved for courses that debuted in 2010 or 2011. Not only was Salish Cliffs the top-ranked layout to open this year, but it was just one of two Pacific Northwest courses on the list, along with Old Macdonald in Bandon, Ore., which earned the No. 1 spot. The par-72, 7,269-yard championship course provides an intimate setting with 16 of 18 holes encircled by lush forestry. The course is friendly to players of all levels thanks to five sets of tees and offers stunning scenery with 360-degree views of Olympic Peninsula’s Kamilche Valley. The black “tips” received a rating/slope of 75.4/137 from the USGA while the 5,313-yard forward tees come in with a 70.7 rating and 125 slope. Public rates through Oct. 31 are $69 (Monday-Thursday) and $79 (Friday-Sunday) for 18 holes and $40 and $50, respectively, for nine, including green fees and cart (but not applicable tax). MVP Player’s Card Holders will pay $64 (Monday-Thursday) and $74 (Friday-Sunday). Twilight rates, which begin at 3 p.m., are $40 (Monday-Thursday) and $50 (Friday-Sunday). Tee times can be booked with a major credit card up to 10 days in advance at www.salish-cliffs.com. Advanced tee-time booking up to 60 days in advance is available for those with confirmed Little Creek Casino Resort hotel reservations by calling the golf shop at 360.462.3673.